Planning and design of constructed wetlands and SBR plants for 11 sites with 500 to 2000 inhabitants. Detailed design of 3 Phragmifiltre® plants in S. Pedro de Alva, Aveleira und Cortes. staff instruction and operational monitoring. 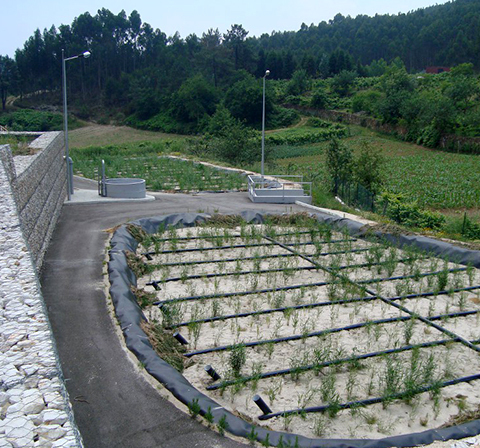 Establishment of decentralized sewage treatment plants with integrated aerobic sludge treatment for a total of more than 2 000 connected inhabitants on three mountainous sites with a special focus on avoiding odors. In order to fulfill the latest requirements concerning environmental standards and increasing water volumes two of the existing plants had to be deconstructed or extended. One of them had been a horizontal subsurface flow wetland. 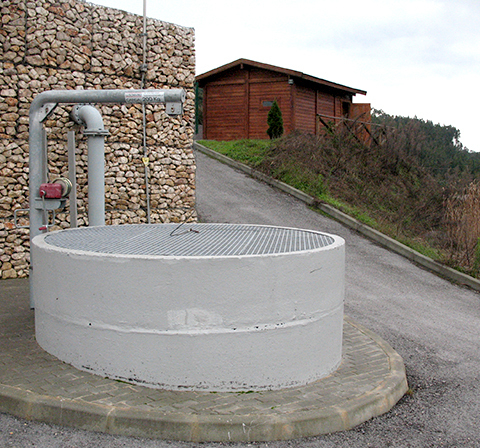 In Portugal horizontal subsurface flow systems had been the exclusive technology up to this point of time. 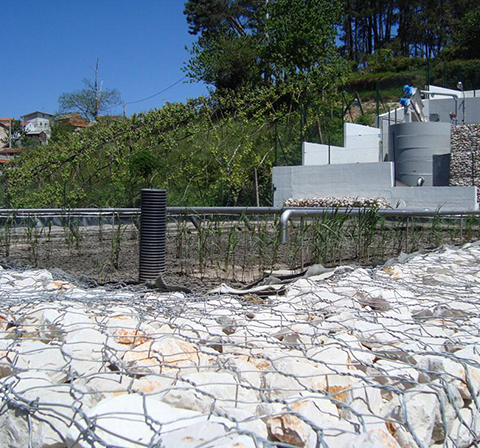 The results of this type of sewage treatment used to be unsatisfying below the possible state of the art. The problem with this rather outdated wetland technology is sludge production in pores leading to short cuts and bad aeration. Despite of oxygen input from reed these saturated wetlands are operating mainly under anaerobic conditions with a strong oxygen deficit for organics removal and for nitrification. 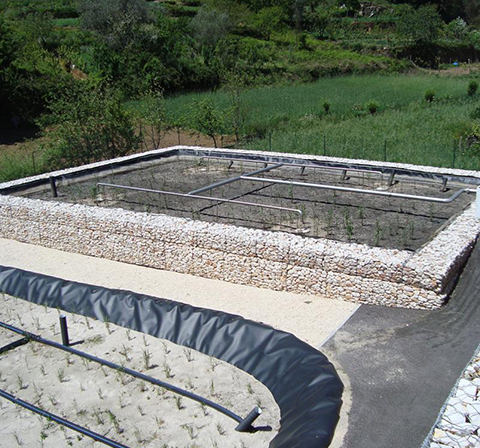 Most of the Portuguese standard treatment wetlands have been equipped with huge and expensive sedimentation tanks which are sensitive to flow dynamics. 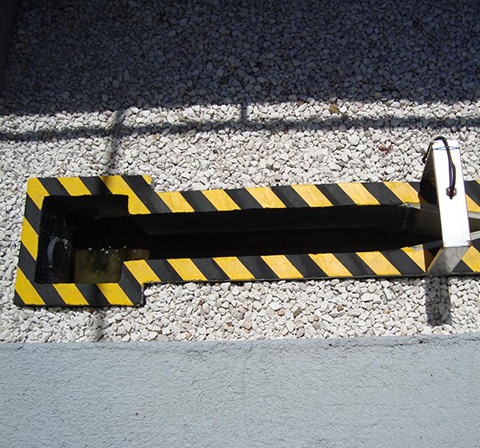 These usually don´t produce sufficient amounts of stabilized sludge and may cause relevant methane emissions. In collaboration with the Portuguese construction firm Oliveiras SA, Batalha, an alternative modern treatment concept for each site had been developed. 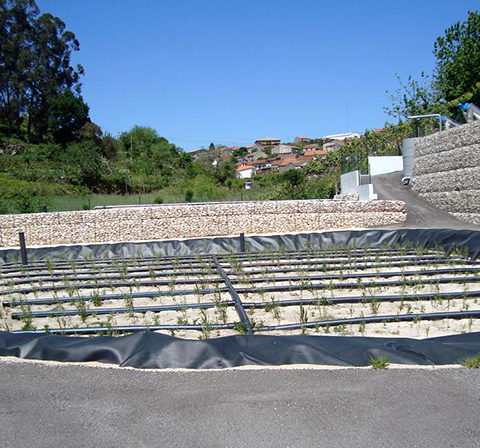 In the field of sewage treatment technology in Portugal it was the first time to install a two stage Phragmifiltre® wetland system. 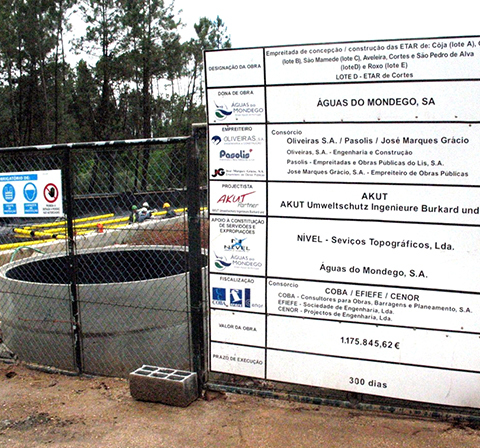 In contrary to conventional Portuguese horizontal flow systems the wastewater is allways treated in aerobic millieu. Even the sludge which is stabilised on the first stage is naturally ventilated avoiding any bad smells and greenhouse gas emissions. 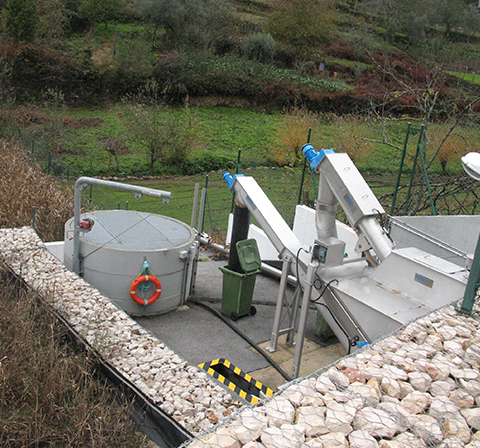 The amount of sludge is drastically reduced as a result of Phragmifiltre® plants. This is of high relevance for the operation in remote locations. Sludge has to be removed only every 10-15 years from now on. It was possible to adapt each treatment wetland to different local situations. Because of vertical flow system the filter surfaces could be designed in nearly any geometrical shape. The breakdown in several parallel treatment cells enhances the robustness and optimizes the process. Since start of operation the outflow concentrations of all three wetland sites have allways been stable and significantly lower than the given legal limits such as COD always stayed below 50% under limit!